"After only one session of 30 minutes, her mom told me with tears in her eyes that her daughter spoke full sentences for the first time in her life!!" 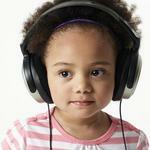 "I did Auditory Integration Training for a child with Down Syndrome at age 6 with excellent results. Before AIT her speech was very limited - short sentences of 3 or 4 words and with a very heavy tongue so that her speech was difficult to understand. After only one session of 30 minutes, her mom told me with tears in her eyes that her daughter spoke full sentences for the first time in her life!! Also, during the last 5 days of AIT this same child's grandmother called on the phone to speak with her. The grandmother was amazed that she could understand her granddaughter for the first time, whereas in the past she struggled to make out what she was saying. She also spoke to her for 10 minutes instead of the usual few minutes. This child was also still wearing pull-ups and two months after AIT she no longer had bladder control issues." "She said AIT was their best therapy!!" "I had a Down's Syndrome client. He was a high functioning teen age male about 13. We did three (3) annual Berard AIT sessions for him. 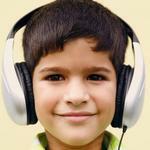 His Mom said that Auditory Integration Training made him focused and available to learn. She said AIT was their best therapy!!" "We see a few clients who have Down Syndrome and have documented improved speech and language abilities post treatment along with improved auditory processing."